This is fair enough, especially as the film announces itself as being "inspired by" the true story; it's not pretending to documentary realism. Other aspects of Milne's life have been subject to tweaking, too, as I'll discuss a little later, although the most important thing to say first of all is that the overall shape of the film works. As noted by the Times critic, it's in three sections: Milne struggling to get over his wartime experiences, acutely sensitive to bangs and flashes; Milne slowly recovering emotionally and creatively through his son; Milne and Christopher trying to come to terms with the effect of the celebrity bestowed by the books. Towards the end of that third section, there is an awkward conversation between father and son in a station waiting room as the grown up Christopher is about to go off to his own war. This is powerfully done and feels like the heart of the film. As Milne waves his son off after this frustrating exchange, for one brief, heartbreaking moment he sees the young Christopher boarding the train. That is not, however, the end of the story. A telegram makes Milne and his wife fear Christopher has been killed until he reappears unexpectedly one night at Cotchford, their Sussex home, and the next day, sitting together in the forest as they did in earlier days, Milne and his son reach a kind of understanding. For those in possession of the facts as revealed by Ann Thwaite and Christopher Milne himself that final scene is both true and not true: the son did indeed come to terms with the legacy of Pooh, but only when he wrote his autobiography The Enchanted Places, after his father was dead. In terms of fashioning a story, however, a concluding scene with father and son was probably the right choice: stopping the story dead with the train's departure might have been too much to bear, and merely to have a coda with, say, the elderly Christopher talking to a reporter about what he had learnt would not have been enough. Father and son need to share the ramifications of the Pooh books, just as they shared in their creation; it is the conversation which they ought to have had in life. Which doesn't stop me not being entirely certain about its inevitability in the film, but perhaps I ought to see the film again before discussing it further. It would also be fascinating to see just how Frank Cottrell-Boyce reworked Simon Vaughan's earlier screenplay. How did that version end? For those who may be interested, here are brief details of aspects of the real life story which have been, or may have been, tweaked. Milne certainly wrote with revulsion of his wartime experiences in his autobiography but I don't know to what extent he suffered from the symptoms seen in the film or, indeed, how much he was blocked as a writer, as the story implies. But it does help to give added significance to the creation of the Pooh stories. 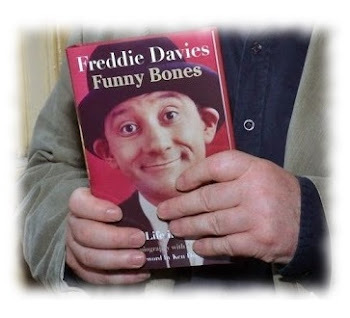 In the section where Milne and his wife, Daphne, are enjoying the celebrity attached to the children's books both seem to take equal pleasure in it; Milne, however, wrote several times about his dislike of public speaking and tried to avoid it, so the likelihood is that the enjoyment was more on Daphne's side. But again it's more effective if Milne is portrayed as equally to blame for what has happened to his son. And he wrote the books. There are several examples of telescoping. We don't see evidence of Daphne's affair with the playwright Elmer Rice but we do see, in an impressionistic way, her continual "gadding about", and one short dreamlike or nightmarish sequence of her joining in a kind of orgiastic dance with an unspecified number of partners. We don't need to know specifically about Elmer Rice any more than we need to know about Ken, so the sense of her loving nightlife is conveyed and left at that, which works well. The telescoping of Christopher's time at school - one moment he's falling downstairs, pushed by classmates, next he's trying to join the army - is a little more problematic. I think it obscures the fact that he remained close to his father into his teens. One of the most touching details (to me) in Ann Thwaite's biography is a description of Milne and Christopher returning from Holtye golf course, the car meeting Daphne, who had walked along the lane to meet them. In later years, Mrs Thwaite writes, Milne came to look upon this time as "a lost Eden." There is also a bit of telescoping which suggests that Shepard and Milne were friends some time before their collaboration, and that there was a warmth in that friendship. Shepard denied this in later life, saying he always had to start again each time he met the writer, but Mrs Thwaite points to the meetings and correspondence around the time of Pooh which seem to contradict Shepard's later account. Whatever the truth of the matter it's convenient for the film, and there is a touching scene in which Shepard, Milne and Christopher indulge in a spot of balloon bursting - the noise which once summoned memories of the war has been reclaimed in the name of childhood. The film is beautifully shot and it's fascinating to walk into those worlds so long read about - I mean Milne's Chelsea and Sussex homes. I didn't realise until reading some reviews that not a word of Milne's is used, presumably because this wasn't made by Disney, which must be a tribute of sorts. It's not a film aimed primarily at children, although I have read that some war material was cut out. It doesn't feel like anything significant has been omitted; the war footage ties in with other impressionistic sequences. And it doesn't feel like a film which has been compromised. If anything, the Milne portrayed here is harsher than in real life. I should also say that Ann Thwaite is credited as consultant and has declared herself pleased with the film. Full disclosure: as mentioned in earlier posts, I once laboured over my own stage play about Milne so the above remarks should be read in that light. I may write about that in more detail another time. 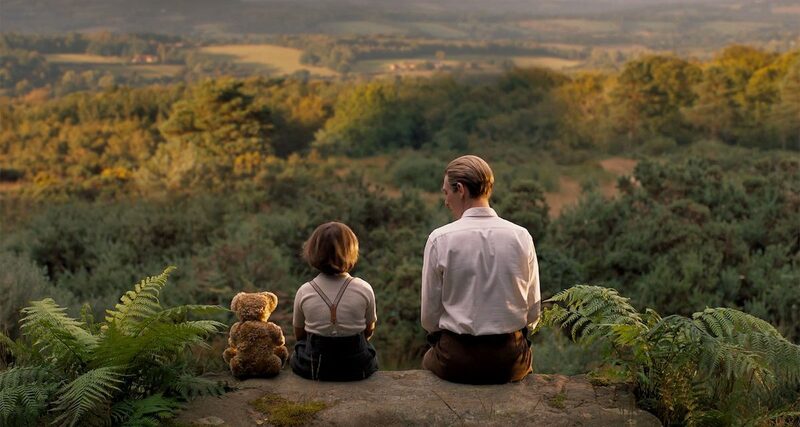 Watching Goodbye Christopher Robin again a week later has increased my admiration for the craft behind it. The final sequence now seems to sit a little better: it's not implausible, after all, that his army experiences might have made Milne's son newly appreciative of his father's achievements, and if a hell of a lot is condensed into those exchanges in the station waiting room and these final moments when Christopher is home on leave, it's still the payoff the story requires. It's also a nice touch that in the final shot we see Milne and the young Christopher Robin, not the soldier, walking home from Ashdown Forest. It suggests that, for a while anyway, the closeness between father and son has been restored to earlier days, but it also takes the story away from the specific circumstance of a grown up son on leave and reminds us of the bond which led to the immortal work, preserved in its pages. It's a different sort of beast, but at the end of Dennis Potter's film Dreamchild, inspired by the fact that the elderly Alice Hargreaves (nee Liddell) visited America to celebrate Lewis Carroll's centenary, Potter has Alice say, during her address to a college, that only now can she "see the gift [of the books] whole." Potter has greater license to invent, but one hopes that such an epiphany might have been more than wishful thinking. Going back to Goodbye Christopher Robin, this time around I was more keenly aware of how skilfully small details of Milne's life have been woven into the screenplay. Readers of The Enchanted Places may remember the story about Milne reprimanding Christopher for holding his knife and fork upright. Pressed by his son for a reason, Milne can only say that someone falling through the ceiling might be impaled on the utensils - in other words, he was incapable of saying "Because I say so", "Because I'm your father," "Because it's etiquette," or whatever; in the film the remark is cleverly used to indicate a thawing in the relationship between father and son. There is also a moment where, taking part in one of many promotions at a toyshop, the young Christopher, having just had the manager's role explained to him, innocently asks his mother: "Are you my manager?" And Shepard, even if brought into the story too early in terms of historical fact, plays a useful role here as one able to understand the lingering effect of Milne's war experiences. Some reviewers have remarked on the fact that this Shepard's drawings don't look much like the real ones. Did Disney put an embargo upon using the real ones? In one sense it's a pity but it also sort of fits: a story which is both true and not true.